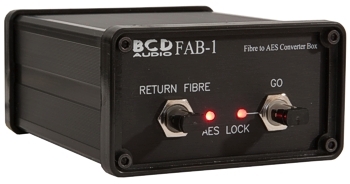 The FAB-1 converts balanced AES3 on XLR to ST fibre. Go and return channels in one unit. Compatible with BCD's rack mounting fibre units. Fibres up to 2km are usable.